Naomh Barrog GAA Club is a perfect venue to host a variety of functions, our spacious bar, excellent location and top quality facilities ensure that every event is a resounding success. Naomh Barrog GAA Club Bar is available for 21st, 30th, 40th and all other birthday celebrations, christenings, communions, family reunions, funerals, etc, all subject to availability and club approval. For more information please contact our Bar Manager Gary McCormack our drop in during our opening times and someone will assist you with your query. 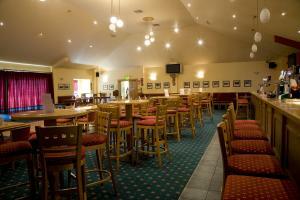 See Photo Gallery for images of the Club Bar.